Why is Apoptosis so important to a cancer patient? Some oncogenic mutations or precancerous lesions actually disrupt the mechanism of apoptosis, leading to tumor origination, progression or metastasis. This means that when the cells continue to divide and multiply, but do not die, cancer begins, grows and spreads. This is when cancer treatments are necessary. Cancer patients are offered a variety of treatment options that usually include Chemotherapy, Radiotherapy and steroid therapy in different combinations and doses all with the same goal in mind: causing “Apoptosis” of malignant cells. These therapies though, are very toxic and overwhelming to the human body, leaving the patient very sick and frail, fighting for their lives. 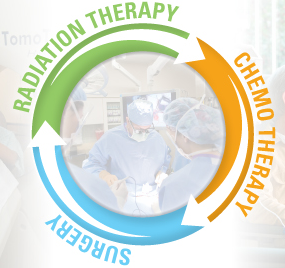 Radiation and chemotherapy force apoptosis in cancer cells, but these drugs cannot tell the difference between healthy cells and malignant cells – they kill all cells indiscriminately, this is the downfall to a pharmaceutical approach. In the past decade the demand for less toxic more natural approaches to treating diseases including cancer has risen. Information about natural supplements, treatment concoctions and antioxidant-rich diets has flooded the internet. This allows patients and loved ones do their own research, and find what alternative therapy options may work for them. There is also a downfall to this approach; there is a plethora of inaccurate information that may lead people astray on their quest for health. It takes a great deal of research and critical thinking to come to an accurate conclusion. Medical Cannabis patients have been professing the benefits cannabis has on their health for decades. The government has done research that has revealed some stunning facts about the plant that have been revealed as well as patented. The active compounds found in the plant, THC and CBD were found to be both antiproliferative and pro-apoptotic amongst other things. This means that the compounds actually arrest the spread of cancer as well as causing “apoptosis” of cancer cells. The remarkable feature that apoptosis via cannabis possesses, is its ability to decipher between healthy and malignant cells, activating apoptosis selectively. By activating the endocannabinoid system, you actually enhance the efficacy of the human immune system by moderating it; this is why cannabis is also therapeutic to autoimmune diseases. The active metabolites attach to your receptors and allow the body to function in a state of balanced homeostasis. The most well-known and popular method of cannabis consumption is smoking the flower or buds. When treating a disease, this is actually the least effective method of use. The most therapeutic method of use is ingestion of concentrated cannabis essential oils. There are broad range of names for these concentrates, but do not feel overwhelmed. The easiest way to find what you are looking for is to ask for ethanol extracted cannabis oil. This will product will carry different names such as Rick Simpson Oil (RSO) Full-Extract Cannabis Oil (FECO) and others like it. Extraction of plant essential oils with alcohol is an age old technique and it is still applied today. There are other beneficial forms of cannabis extracts such as steam distillation, Rosin Technique, Co2 extraction and more. However, in my experience the ethanol extract is one of the most widely available, versatile and therapeutically effective medicinal products derived from cannabis. The raw whole plant extract is made with either just the buds or buds, trim, seed and stem. The difference is in purity level, each has its own benefits and downfalls. The oil most regularly is found stored in 1-10 gram oral syringes or pre-dosed in capsules. Cannabis oil is dark amber or greenish oil that looks black in concentrated amounts. You can use this for almost every medical application you will attempt with cannabis from smoking to ingestion and topical application. While treating Cancer, efficacy of treatment is a huge factor in achieving remission. Increasing the bioavailability of the oil, or better yet, the compounds within the oil is the goal when you set out to enhance the effectiveness of your medicine. Ingesting raw cannabis oil is very effective, but a large portion of what you eat is wasted. The bio-availability of raw cannabis oil is about 25-40%; this means your body will absorb that much of your dose. There are ways to increase the bioavailability of your oil by infusing it into other essential oils or combining it with other plant materials that are also pro-apoptotic or antioxidant in nature. Carrier oils are called this because they “carry” essential oils into the skin or tissues and bloodstream depending on internal or topical use. Carrier oils aid in the absorption of cannabinoids by making them more bioavailable. Cannabinoids from Cannabis are the primary components of cannabis essential oil; these compounds will be suspended within the carrier oil and brought into the system at a much higher rate than before. It is estimated that Carrier oils increase the absorption of cannabis oil from 25-40% to 75-80%. That is nearly doubling the rate of absorption. This saves money by allowing a smaller more effective dose to be consumed with the same rate of efficacy. Each Carrier oil comes with their own individual nutritional benefits. Coconut oil is high in Medium Chain Triglycerides (MCTs) which are an optimum fuel source for the body’s mitochondria. Apricot Kernel oil is high in Linoleic and Oleic acids with are Essential fatty acids (EFAs), but more importantly Apricot kernel oil has a very hard to come by component: Amygdalin or vitamin B 17. Amygdalin is very highly regarded and potent anti-cancer agent that nature provides, it is found in the soft kernels within the apricot pit. When amygdalin is extracted, purified and concentrated it becomes what is known as Laetrile. Amygdalin or Laetrile causes Apoptosis as well. Pumpkin Seed oil is one of the most highly nutritious seed oils there are with a complex and balanced broad spectrum of EFAs vitamins and minerals. Each of the following oils would make excellent carrier oils as well as conjunctive therapeutic agents for Cannabis oil. Infusing Cannabis oil into these carrier oils is one of the most efficient treatment routes one can take in the natural medicine realm. I always recommend beginning with Coconut oil or Olive oil as these can stand higher heat and take the least amount of preparation and exertion to infuse, and use daily. Do not be afraid to experiment and find what works best for you and your personal lifestyle and diagnosis. Every person is unique just as is every single disease process. Cannabis oil is not the answer alone, fully recovering from any disease requires lifestyle and dietary modifications. You must work to bring your being back into homeostasis and balance your physical, mental and emotional energy centers. Cannabis oil is a very empowering and effective start to regaining your life and health.